Putting a full stop to the insistent rumors that had been flooding the interwebs over the last few weeks, Chinese bike rental ofo, has raked in $700 million in Series E round of financing. The round, led by Alibaba Group, Hony Capital and CITIC Private Equity with participation from current investors Didi Chuxing and DST Global. We will further upgrade our service for better user experiences, accelerate our global expansion strategy, and continue to lead the bike-sharing industry. Our vision is to unlock every corner of the world, and make ofo the universal language. Startups in China are taking up their games a notch higher to be the “Didi for bikes” in China. Their models are pretty simple and the service is rather easy to avail. People looking for a ride have to open their smartphones, unlock a bike parked nearby, ride it to their destinations and pay once they reach. This round is touted to be the largest funding round in the bike-sharing industry. Ofo-rival Mobike had also secured $600 million last month to expand worldwide. Ofo has also adopted the global NB-IoT (Narrow Band Internet of Things) technology for extensive commercial use. 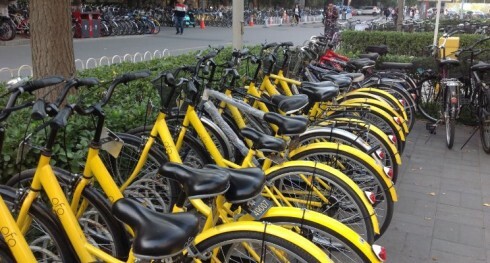 China Telecom will provide nationwide wireless Internet coverage for ofo, while Huawei has equipped its bikes with NB-IoT chips and other useful telecommunication technologies. The startup envisions to make its bikes serve as central hubs, connecting riders to net-based resources via the Internet of Things and creating an AI-based eco closed loop in the near future. ofo is the industry leader and we support its open platform strategy. We look forward to working closely with the ofo team to unlock the full potential of the bike-sharing industry.